Most women would agree that it feels great to have healthy looking hair. But unfortunately, many of the things you might have heard about caring for your own hair aren’t true at all. Here are some of the biggest hair care myths busted! This is one of the most commonly believed myths regarding hair. In reality, your hair grows from the follicle and trimming the ends has no effect on how fast hair is able to grow. But keep in mind, regular visits to your hairdresser are useful for healthy looking hair because it is a great way to get rid of split ends. So while trimming ends is beneficial if you’re trying to grow your hair and you want it to look healthy even when it’s long, it won’t affect how quickly it actually grows. 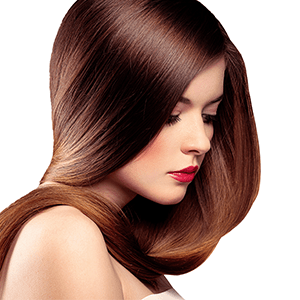 Many women believe that brushing long hair from the scalp down to the ends will distribute natural oils, helping the ends stay healthier. This, however, isn’t true. If you have long hair, start by gently de-tangling the ends so that you don’t damage hair by pulling too hard and breaking it. Once the ends are de-tangled, you can move up, brushing only until your hair is no longer tangled. Washing your hair every day will dry out your scalp and might actually cause your hair to become less healthy and lose its natural shine. To keep hair healthy, it’s advisable only to wash it when it seems dirty. Short hair often tends to look oily sooner after washing than longer hair because greasiness accumulates more easily, but the pace at which hair becomes oily and dirty will vary from one person to another. To know how often you should wash your own hair, get an idea of how soon after washing it seems dirty. Other factors, like physical activity, can also cause hair to dirty more often, as sweat can make hair look dull and stringy. Other than seeing your hairdresser regularly, your hair doesn’t need too much fussing over. If you find that your hair tends to have certain problems that don’t improve when you go about hair care in a more casual fashion – such as frizz, excessive dryness, or breakage – talk to your hairdresser about products that are available to improve its strength and shine.